Note: These are the factors which I have learned by interacting with parents over the period of time. In my previous role, I did a study with a sample size of 50 and these are the results. 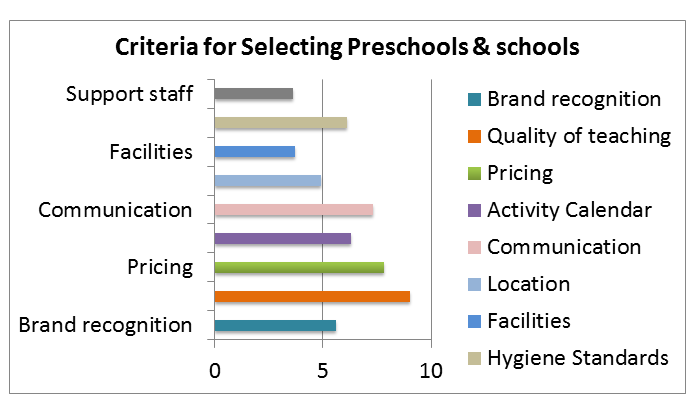 From these results, it is evident that parents consider the quality of teaching, school brand, pricing and activities as the key parameters before selecting a preschool or high school. Now that we know the key parameters while selecting a school, let’s learn about influencing factors that result in conversions i.e admissions. 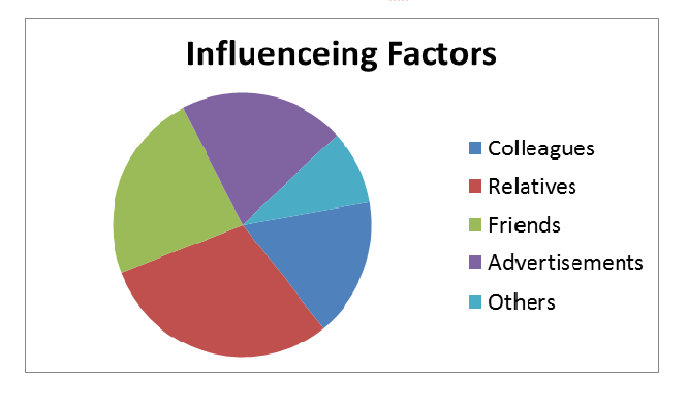 As per my study, I witnessed that the most influencing factor while selecting a preschool and school are relatives. 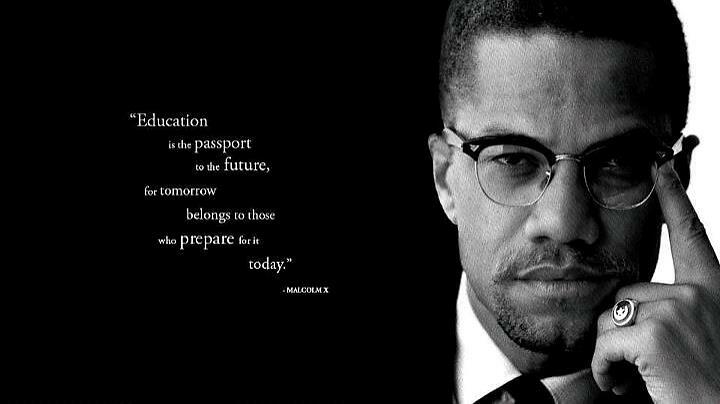 Most parents discuss their child’s performance with their relatives and friends which result into the selection of an XYZ school. In my next post, I will share few tactics and strategies that will help your startup grow.